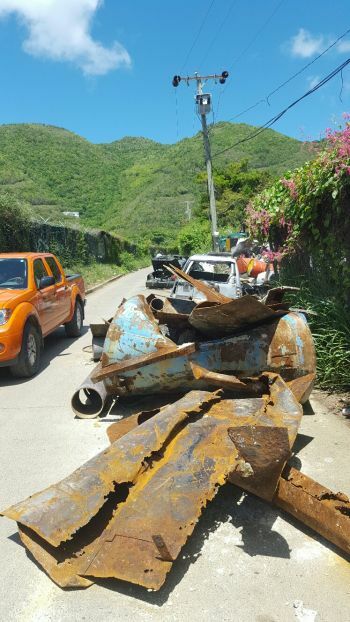 SEA COWS BAY, Tortola, VI – Manager of the Waste Management Department Greg R. Massicote said that a short term solution may be elusive without an injection of Government funds to deal with the longstanding issue of derelict vehicles on the roads and parapets in the territory. 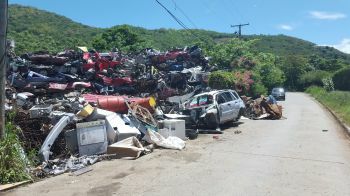 In an interview yesterday September 22, 2015 with Virgin Islands News Online, Massicote outlined the problems facing the Department with regards to capacity to hold derelict vehicles. This news site had sought a comment from Massicote with regards to the large number of derelict vehicle debris that had spilt on to the road at the waste management facility adjacent to Ellis Thomas Downs in Sea Cows Bay. 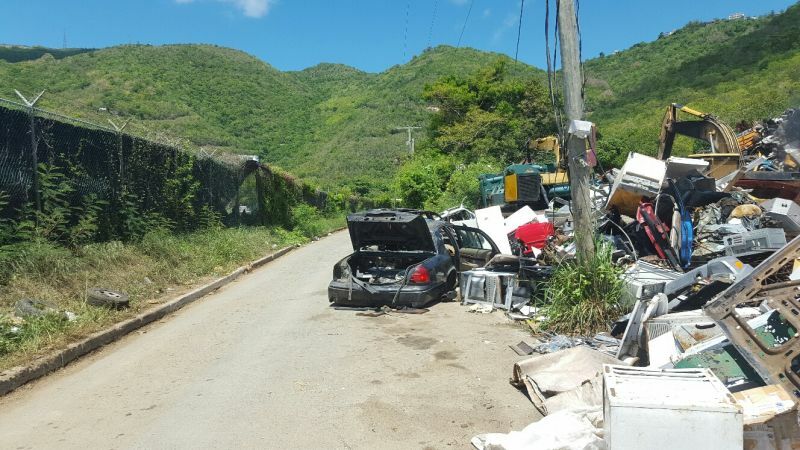 When this news site visited the area earlier in the day yesterday, the road in front of the waste management facility was barely passable, with vehicles having to slow down in order to pass safely. “Instructions were given to the operator of the site to have it cleaned up by the end of the day,” Massicote informed our newsroom. “But the space is very limited down there given the number of cars that are there right now. So that is a major issue that we have right now,” he said. He explained that he went to the site earlier in the day yesterday and having seen it he called the operator to have it rectified. 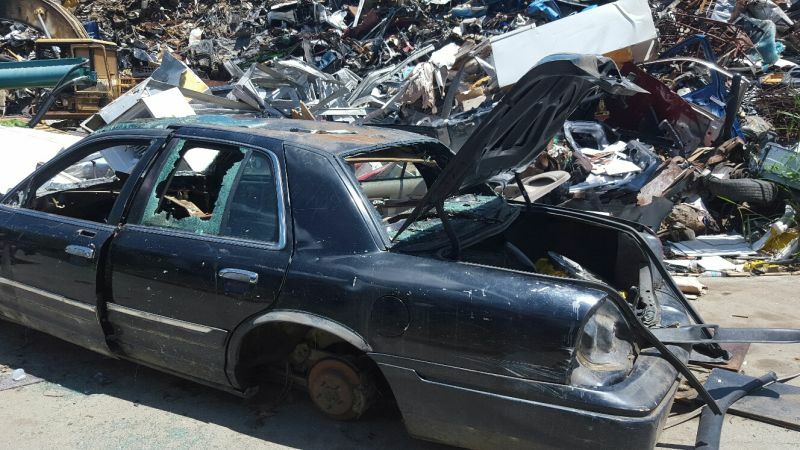 “But to my knowledge that stuff recently came out [on the road] maybe over the weekend,” he said. According to Massicote, the longer term plan is to have the metal moving on a more regular basis. “But the problem that we have encountered right now is that the value of metal is extremely low right now. So it is an added cost for us to have it removed,” he noted. 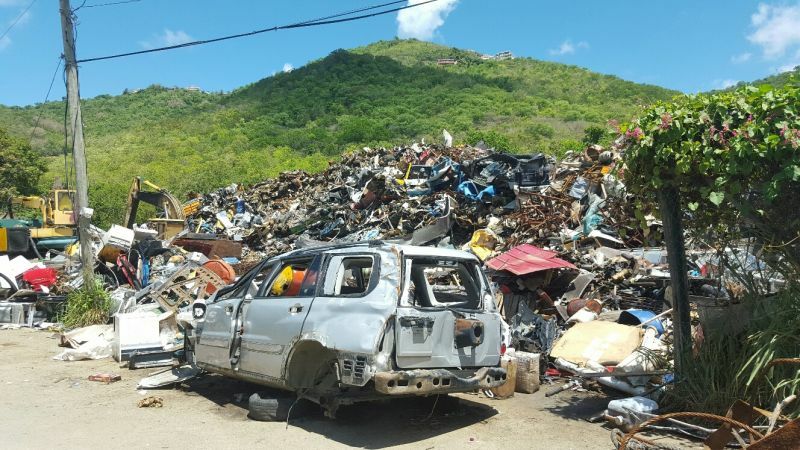 He said the system previously utilised was a self-sustaining one, but this was contingent on there being a good price for scrap metal. 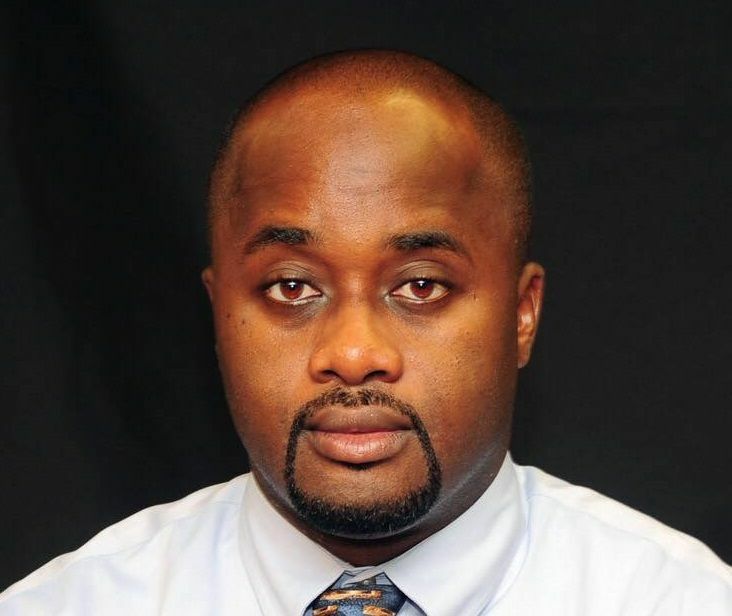 But he said this has now become a financial burden on the department. 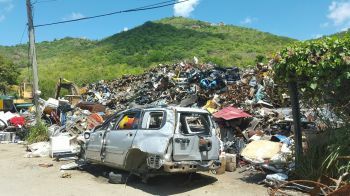 He said further progress on the situation will depend on getting additional resources from Government. 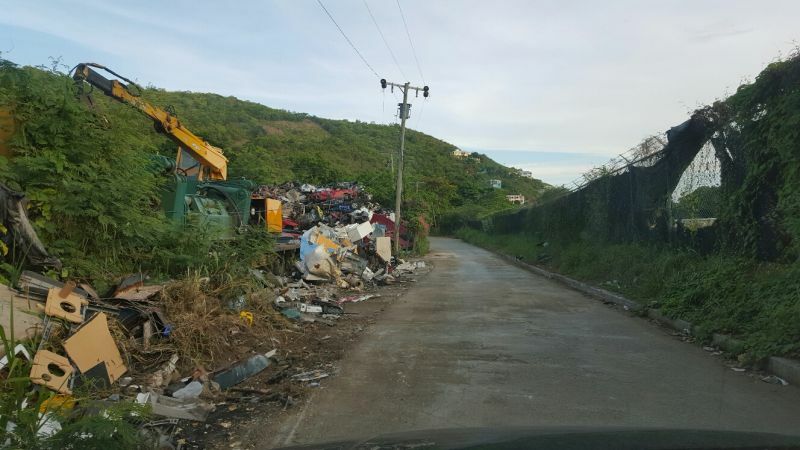 “We did put in a request for extra funding to have the site cleared up in the short term,” he said. “We are waiting on approval right now,” Massicote said. well bossie u have four long years of crying! There is a white pick-up truck leading up the hill on the road to the right of the post office in Carrot Bay. Please come and remove this snake and mosquito trap. Thanks. Look what's happening in hog city these days, where is fraser and the 4 ndp atlarges? 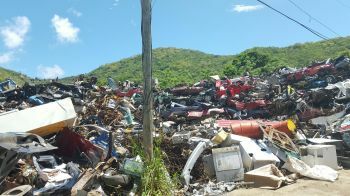 Once again, the BVI people will blame Government whenever they add a little money on to fees that we pay. 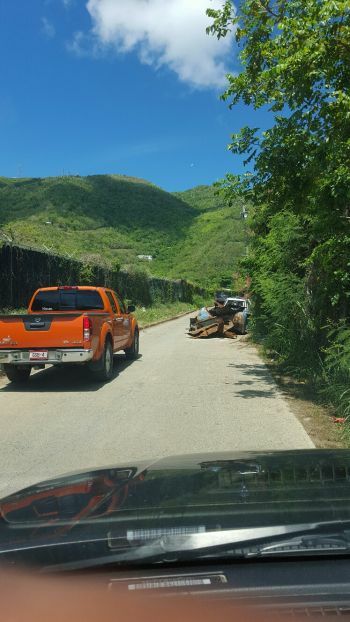 Do we pay any fees for removal of these vehicles? NO! 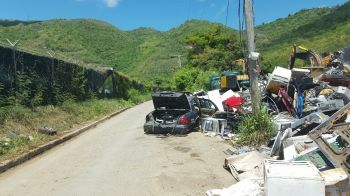 But we expect Government to find millions to clean up the derelict mess around the place. They need to charge a $5.00 fee at licensing dept which goes towards dealing with this issue. 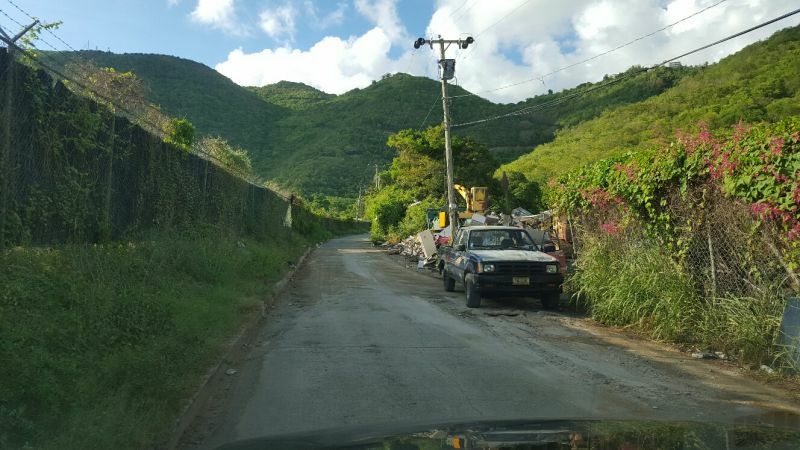 I can hear the people crying already which is why the BVI will never move forward. Tourist destination you say? HA! %^&&** dump. The government should implement a diposal fee to the dealerships on every vehicle imported and anyone who imports a vehicle. 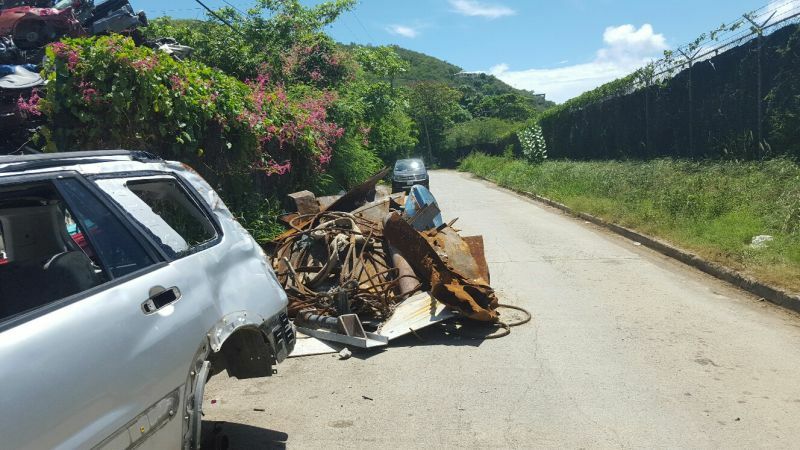 Instead of blanket charge on car owners to pay for collection, which penalises the law abiding, why not enforce the law and fine those that mess up our islands with abandoned cars and garbage. Make the fine substantial to cover costs, and name and shame those responsible. Its not rocket science for the Police to identify these lazy people. Its the little things that count. thanks vino for bringing this to light! 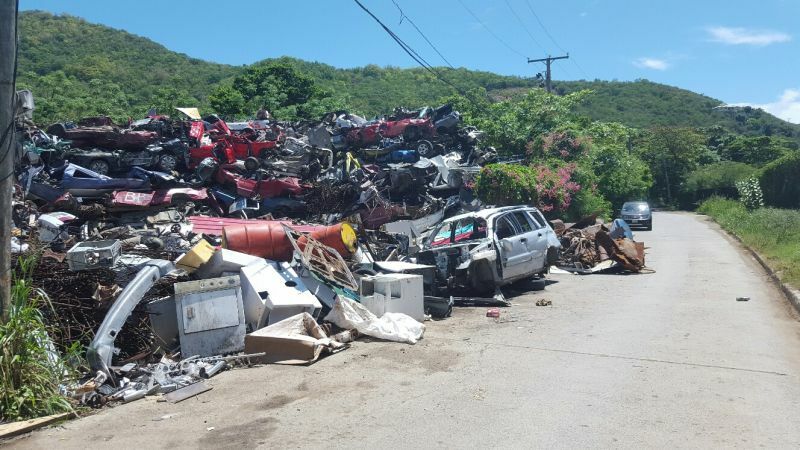 If there was a disposal fee ( say $500 and up depending how n sizelevied on the importer of every vehicle he or she brings in, there would be monies available for the ultimate disposal of the every vehicle for games comes to our islands. great photos. the good old days were not always good. 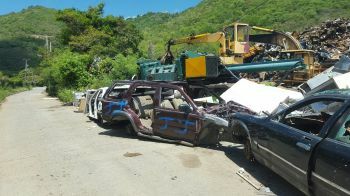 The Jamaican man who used to look after the derelict vehicles was doing a good job. What happened to him? Place not the same since.